Social Media and the Arab Spring: What Have We Learned? Nine months have now passed since the tumultuous beginnings of the Arab Spring burst forth in the streets of Tunisia. A rising spirit of protest has since spread like wildfire across the Middle East, communicated primarily through the channels of social media. For the legions of critics who had previously dismissed platforms like Facebook and Twitter as vapid troughs of celebrity gossip and self-aggrandizement, the toppling of regimes in Tunisia and Egypt suggested that these tools were as effective for organizing protests and revolutions as they were for organizing keg parties. The movements throughout the Arab world appeared to have imbued social media with an irrevocable sense of legitimacy as a tool for fomenting change. As the ongoing tumult throughout the Middle East enters a sort of adolescence, however, the true role of social media in the revolutions is undergoing a necessary closer inspection. 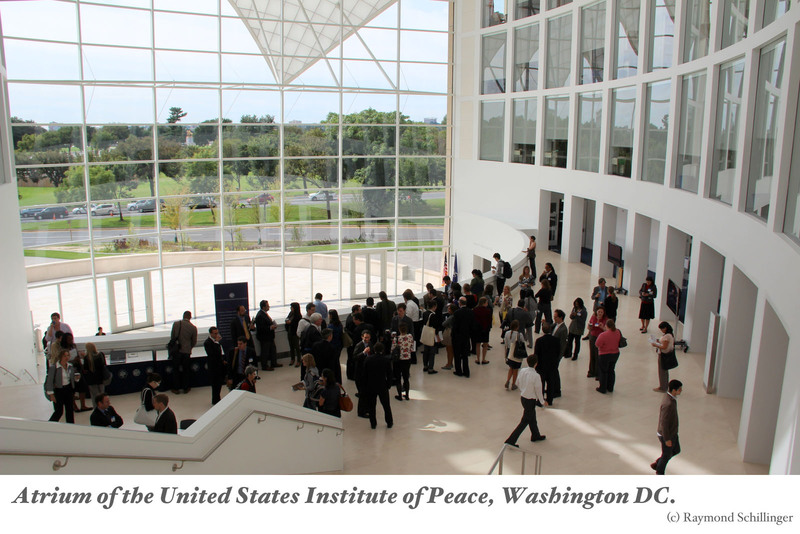 On Friday, a bevy of innovators, policymakers and evangelists of social media gathered at the magnificent new home of the U.S. Institute of Peace to discuss the ever-evolving role of social media as a tool during times of conflict. Researchers and policymakers are faced with an overwhelming deluge of data generated by users across social media platforms. Capturing the data is only half the challenge; presenting it in a meaningful, digestible form is critical to understanding its role and influence. Even the most advanced analytical platforms struggle to keep up with the breathtaking pace, volume, and overlapping nature of social media channels. In addition to the sheer size of data sets, how do we cope with the complexity of the data itself? To take one example, how do we effectively interpret reaction-based data such as the Facebook "like," which, despite its moniker, does not always connote approval of an idea or person? Social media, through its heavy reliance on memes, is reshaping human language through the unprecedented mixing of idioms, dialects, and alphabets. What long term effects will it have on the way we speak, write and listen? Relative anonymity in social media is a double-edged sword: while users can express their ideas more freely, the space is also crowded by false alarms (case in point, Gay Girl in Damascus) and an even newer player in the field -- clandestine government influencers who are learning the lexicon of new media. How do we balance anonymity with veracity? The dominant social platforms -- i.e. Facebook, Twitter, Youtube -- are powered almost exclusively by U.S.-based private corporations. What happens if business or national interests collide with users' free speech intentions? Would open source alternatives have the bandwith or critical mass to be viable? Will social media during peacetime remain a relevant venue for political debate, or is conflict a requisite ingredient for driving meaningful online interaction? Long story, short: no one knows where this is all headed just yet. That didn't stop some of the top minds in the room from speculating, however. Andy Carvin, NPR's social media maven who through a single Twitter account -- his own -- managed to produce superior coverage of the Arab revolutions than any of the mainstream media outlets, aptly noted that social media is more about narratives than isolated content. Furthermore, Carvin recognized that true credibility in the online arena is earned over time, and the indispensible art of fact-checking is now a crowd-sourced activity. Also present was Alec Ross, the tech paragon of the State Department, who has spent the past few years merging cutting edge technology with the mission of diplomacy. 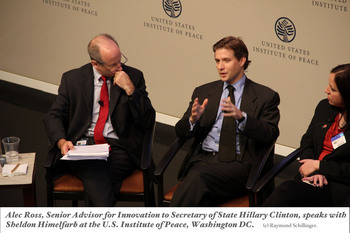 Once considered one of the more lethargic government agencies, the State Department has recently invested significant resources in "e-diplomacy," leveraging Twitter feeds, Facebook pages, and Youtube accounts to interact with, rather than preach to, audiences in other nations. Ross equated the rise of social media to a democratization of world politics, shifting the balance of power from nation-states to individuals and smaller institutions. The downside to that shift, Ross admitted, is the exacerbation of fragmentation by way of the social media megaphone.